The EDO Firemanship Preservation Association is a cultural organization that has worked for preservation of traditional firemanship assets for over 70 years since its foundation in 1939 followed by its reorganization as a public service cooporation in 1954. 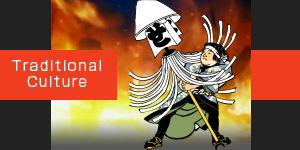 In particular, the association works to preserve traditional firemanship culture and traditional firefighter’s assets including matoi (firefighter standards) and hanten (firefighter’s livery coats). 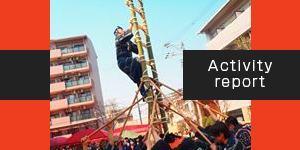 It also hands down traditional techniques such as ladder-top stunts and kiyari chants. All of these were essential aspects of Edo culture and have been handed down from generation to generation since the historic time of machibikeshi (local fire brigades). The late Yasuyuki Kashima, the former chairperson of the association, was a great benefactor of our society. Presently the members of the First Section of the Edo Firemanship Preservation Association, which was led by Mr. Kashima, cooperate with us by providing instruction on ladder-top stunts and kiyari chants. 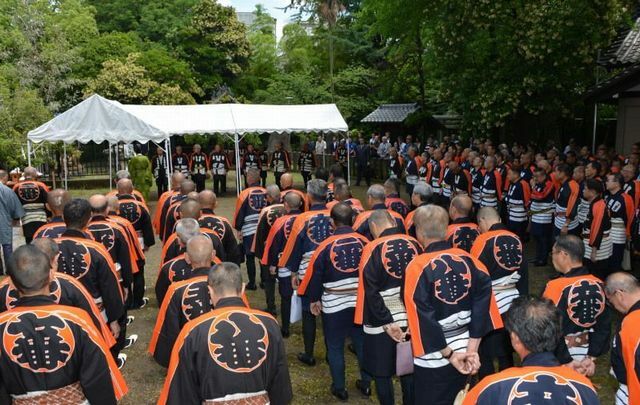 With a long-standing history since the Edo era, this association is a spiritual pillar of the Naniwa Tobi Tradition Preservation Society.